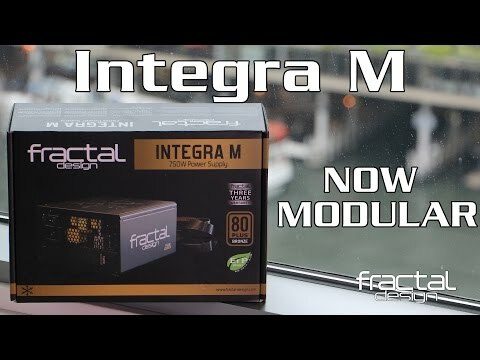 Product Overview Fractal Design Integra M Series power supply units feature excellent electrical performance, including 80PLUS® Bronze certified efficiency. • Integra M Power Supply. • AC power cord (localized). • Zip ties and PSU screws. • User manual. Features • Modular cables. Only cables deemed likely for constant use (20+4-pin cable; 12V CPU cable, one PCI-E cable on 650W+ models) are fixed. • Extremely short 140mm case allows for easy installation in compact cases. • Extra-long ATX 12V cable. • Quiet, temperature-controlled 120mm fan.